Greetings, from Queer Mountain New Orleans spun out of the original Austin show in the winter of 2015/2016. Hosted by Amanda Golob, the show features a rotating cast of amazing Louisiana LGBTQ storytellers. Catch this show the Second Friday of every month at The Allways Lounge & Cabaret on St Claude Street in the Heart of the Marigny. Also check out Amanda's interview podcast Near & Queer To My Heart. And reach out to us on our Facebook page. Amanda Golob is a stand up comedian based in ‪New Orleans. She has been featured around New Orleans including House of Blues, Howlin' Wolf, Tipitina's, and Dragon's Den. She has performed all over the country most recently at The Comedy Store in Los Angeles. She opened for Michael Che during the New Orleans leg of his tour and has been part of Beast Village, Lady Laughs, Mutiny Radio (San Francisco) and Memphis comedy festivals. She won the Producer's Award in the Mental Health Channel's 2nd Annual Cracking Up Comedy Competition. She hosts and produces a podcast called Near and Queer to My Heart. 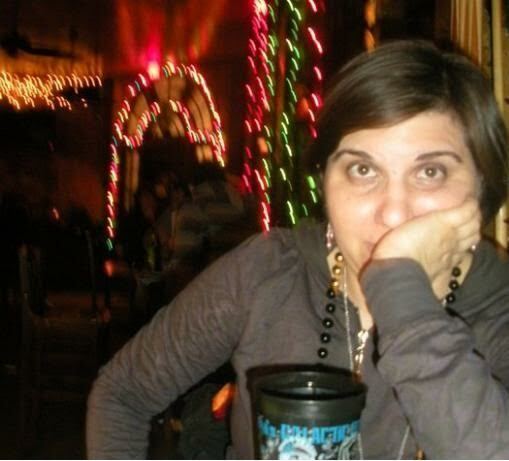 You might recognize her as a regular host of New Orleans' Greetings, from Queer Mountain or on those rare nights that she isn't on some stage making audiences laugh...as that girl at the end of the bar.